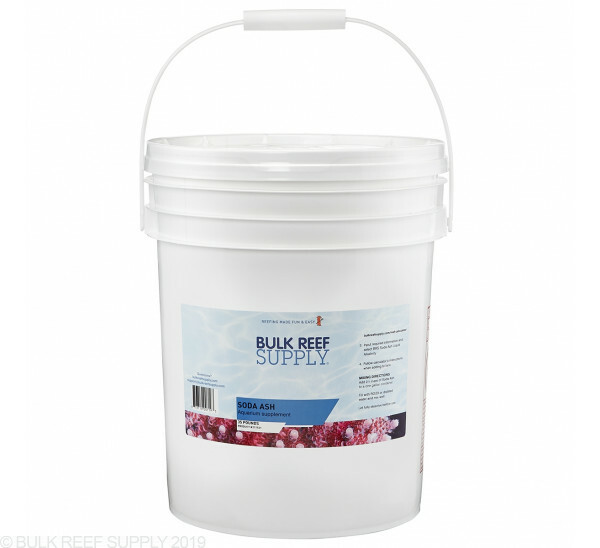 Bulk Soda Ash - Ultra Pure Alkalinity Additive for your Reef Tank! Fill a 1-gallon container 4/5 full of RO/DI or distilled water and then add 2 1/3 cups of BRS Pharma Soda Ash into the container. Secure the cap on the container and shake it for about 10 seconds to help start the dissolving process. Remove the cap and fill the container the rest of the way with RO/DI or distilled water. Give the container a few more shakes and then let it sit until all the salts have fully dissolved before use. 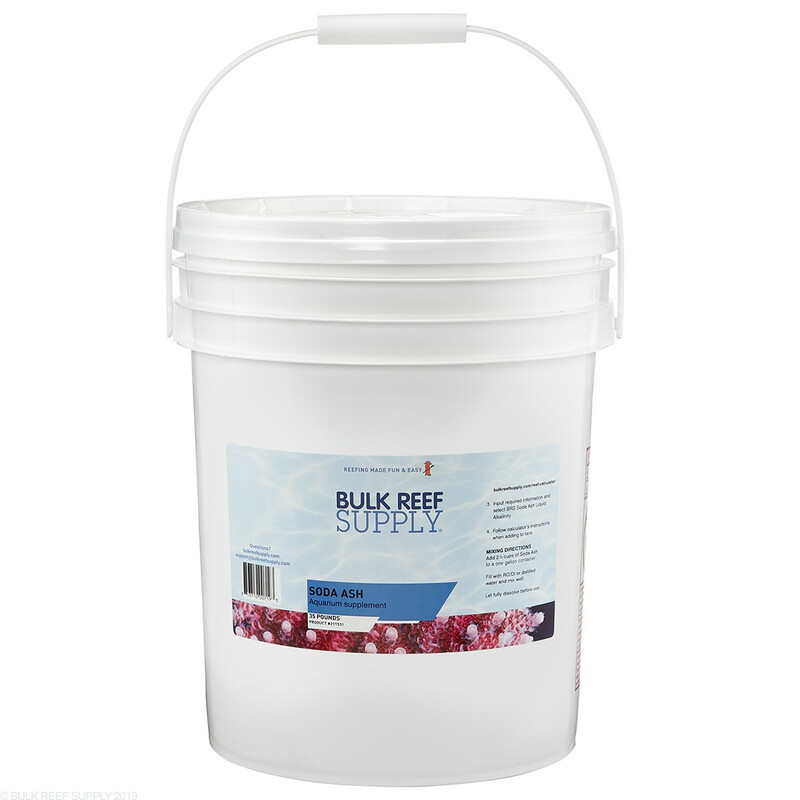 Create a 1-gallon solution by following the Mixing Instructions above and then test your aquariums current alkalinity level and using the BRS Reef Calculator input your current and desired alkalinity levels along with your total system water volume. Choose BRS Soda Ash Liquid Alkalinity (New Pharma Pouch) option from the drop-down menu and select calculate. The result will be how much alkalinity solution you will need to add to raise your aquariums water volume to the desired level. We suggest adding small amounts at a time into a high flow area of the tank, like a power heads output or a sump baffle. It is important to keep changes limited to under 1.4 dKH or less per day to not shock your corals. Tip: If you are having issues raising your alkalinity, check to ensure your aquarium magnesium level is between 1200-1350 ppm, and that the solution is added to a high flow area of the tank. Step 3. Go to the BRS Reef Calculator and input your new desired level and your new current level along with your total system water volume. Select the BRS Soda Ash Liquid Alkalinity (New Pharma Pouch) option and then calculate. That amount will be the total solution needed for a 5-day span of time for your reef tank. To know your daily dose just divide that number by 5 (see example below). Want to see how BRS Pharma Soda Ash stacks up against the others?